(Vancouver, BC) It was a special day for two BC High School Football stars at the BC Sports Hall of Fame, as two New Westminster Hyacks signed their National Letters of Intent with NCAA Division One schools. Offensive Lineman, Harper Sherman has accepted a full scholarship to the University of Arizona. 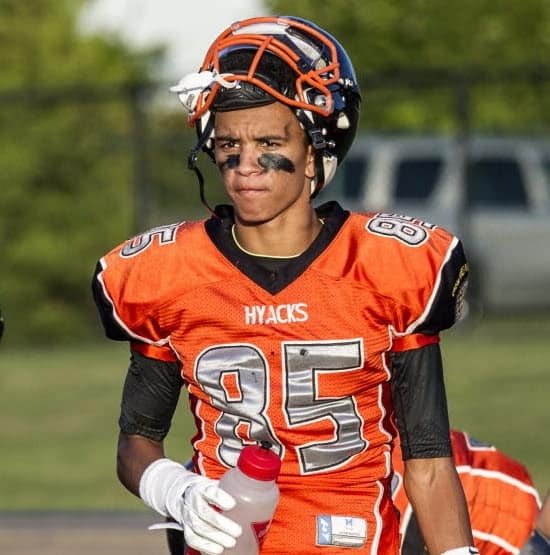 His teammate, receiver/defensive back, Matthew Seymour, signed on with Ohio University. In 2014, Sherman was the number one ranked offensive lineman in Canada by Canadian Football Chat (CFC) and Top Prospects and was also a two-time provincial all-star. He becomes the 4th NWSS player to earn an NCAA Division One scholarship. Hyacks head coach Farhan Lalji agrees and says they saw Sherman’s potential early on. “Harper has the size, athleticism and work-ethic to be a very successful Division one player,” said Lalji. “We saw following his 9th grade season that he had the potential to play at the highest level and began the process of getting him there. Whatever he was asked to do, he did much more. His character, maturity and determination are extremely rare for someone his age. We are very proud of Harper and have no doubts that he will succeed at Arizona”. Matt Seymour becomes the 5th NWSS player to earn an NCAA Division One scholarship in the past 10 years. He played both sides of the ball for the Hyacks as well as returning kicks. He was a dangerous player whenever he was around the ball. Seymour received numerous scholarship offers from the top universities in Canada and drew significant interest from a number of NCAA schools. New Westminster Secondary is the only high school in Canada to have two members of the class of 2015 receive NCAA Division One football scholarships. 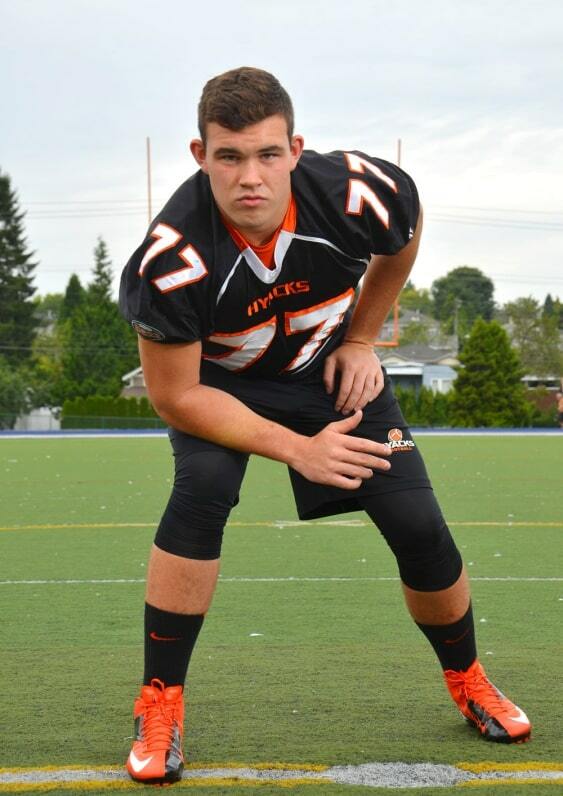 Over the past eleven years 32 High School Football players from BC have now received NCAA Division one scholarships. Congratulations to both players as they continue their educations and embark on the next stage of their football journeys!